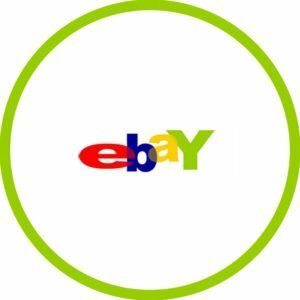 Looking for eBay Accounts For Sale UK? We can help you get back online and selling in no time! What do we offer with our UK eBay accounts? All our UK eBay accounts we have for sale are made with years of experience and tried and tested methods, so you can relax while knowing your new account isn’t going to have problems, as long as you follow the stealth guide. We aim to deliver all eBay UK accounts as soon as they are bought but please allow a maximum of 48 hours (excluding weekends). We don’t want you to worry about your new UK eBay account or waste your money, so if your account(s) face any problems within 60 days we will replace that eBay account for free regardless of the cause! My eBay or PayPal account as been limited, can I get it back? We advise all our customers to try and appeal first, if you have done this and they have not reinstated your account, we are sorry, but your account will not be able to be recovered – we can hep you get back online. I have been suspended, can I start selling again? Yes! You can get back online with our help the same day. How can I link my bank account? You can attach a bank account to your new PayPal account as long as it hasn’t been linked with an old PayPal account, the guide you get free with your account will explain which banks work best. Depending on the bank, you can normally open an account online within minutes (savers work fine too) and PayPal will not see any of the details on your bank account. Are all the limits lifted on the PayPal account? 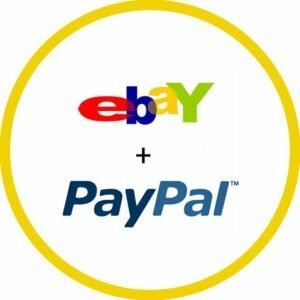 If I purchase just an eBay or PayPal account can I link it with my old account? Yes, you can, many of our customers have done this without any problems, we do however advise purchasing our eBay and PayPal Account Package for total peace of mind. We offer a 60-day guarantee on all of our accounts, so if for any reason you face problems with your new account we will replace that account for free and find out the cause so it doesn’t happen again. You will also get a guide free with every account that explains everything you need to know to ensure you do not face any problems and we give ongoing support. What happens after I purchase an account? Of course, let me tell you what happens after you purchase an account from us. First, you will receive a guide straight away in ‘My Account’ > ‘Downloads’, which we recommend reading in full and putting step one in place before getting your account. Shortly after you will receive your account information, it will also be uploaded to your ‘Downloads’ in ‘My Account’. You will then be able to download the files and start using your account, we advise following the guide for operating your account (this will ensure you do not face any problems). We give ongoing support and a 60-day guarantee, so you are in safe hands. Please take a look at our eBay accounts for sale UK or purchase our Uk eBay and Uk PayPal Account Package. Or why not purchase our eBay and PayPal Account package for total peace of mind? We care for our customers and give unrivalled customer service, plus 60-day guarantee on all of our accounts! Don’t take our word for it, take a look at what our customers say. I wanted to wait a while before leaving a review about Stealth Buy to see if their accounts last long. I first purchased an account 18 months ago, delivery was quick, received my account within 10 minutes, downloaded both the account and guide which took me a little while to put everything together as I don’t work well with computers (funny I know as I use one every day for work). I did have a few questions which from what I remember was all answered the same day, logged into my account and then ‘slowly’ starting listing items, got a few sales and continued to follow the guide until I hit the EU PayPal limit, I then contacted Stealth Buy and they managed to resolve within a few days. I have now been selling thousands every month and I very pleased to be able to build up to the same amount I was before. I have since purchased a few more backup accounts, so I don’t end up in the same position again. Overall, I would recommend them to anyone and have already got them a few more customers. Been buying accounts from Stealth Buy for many months now, always super quick at delivering accounts and answering my many questions which no doubt sound stupid most of the time. If anyone is thinking about using them, go ahead, you won’t regret it as I didn’t. Thanks again Stealth Buy. Faultless customer service. I was wary at first so glad I decided to give it a go as I am back on eBay and making money again. Purchased an account from them a few months back now, ran into a few issues, but all resolved the same day. Would highly recommend these guys! I didn’t follow their guide accurately at first leading to a suspension of my first account, but they were patient, helped me find the cause of the problem and even replaced my suspended account FREE OF CHARGE. You won’t get that anywhere else. I highly recommend them. This company saved my business! Unfortunately, I was ill and unable to keep up with my sales, eBay didn’t understand that I was going through a rough time and decided to close my account and part ways after many years of successful business together and thousands of positive feedback which meant that I was left without a solid income. After some research and stressful nights I came across Stealth Buy, asked many questions and decided to give it a go, I am so glad I did! You received a very detailed guide and account straight away and they are happy to answer any question you may have normally within an hour or two. I have since future proofed by business by buying several accounts and although it will take a little time to get back to where I was, I can see the light at the end of the tunnel and making a comfortable living again. The website is very easy to use and user friendly, and I would definetly recommend going to this site for your accounts. Used this service to get back on paypal for 2 months now. They’re very compliant and legit. Their response is typically under an hour to email. Would recommend if you’re in need of an account. Comes with all the information you need plus extras. Great company. If I could give 6* I would! Firstly, an incredible service offered but what I have been most impressed with is the quality of the customer service offered. Emails are normally answered within a couple of hours and recently minutes after I ran into a problem! Thanks so much for getting us back up and running! This system is amazing..they put me back on track within hours… Costumer service work’s really well..
Gonna buy again and again and again..
With this system you gonna be selling stuff for all your life.. Customer service is second to none. I had issue at the start and they sorted it straight away, and answer every email within a few hours, certainly will be coming back here. Great service and fast support. What happens after I buy a UK eBay account? After you buy a UK eBay account you will be emailed with your login information and your guide will be automatically uploaded to My Account > Downloads and then your account information will shortly be uploaded too, we will email you to confirm. What should I do after receiving the guide? If you have bought an account and have received the guide but waiting for the account, you should read through the whole guide and implement step 1. Feel free to as us any questions, we are always glad to help. I bought an eBay account, but now it's suspended, what should I do? If you have bought an account from us which has been suspended within the first 60 days, get in touch with us and we will replace the account free of charge. If the account is older than 60 days, unfortunately, we cannot replace the account for free. We would advise reading over the guide again. Have more questions? Visit our FAQ Page or get in touch with us. Get in touch with us, we love helping!